We are extremely pleased with the high turnout at our stand at the 2016 edition of the European Microscopy Congress in Lyon. 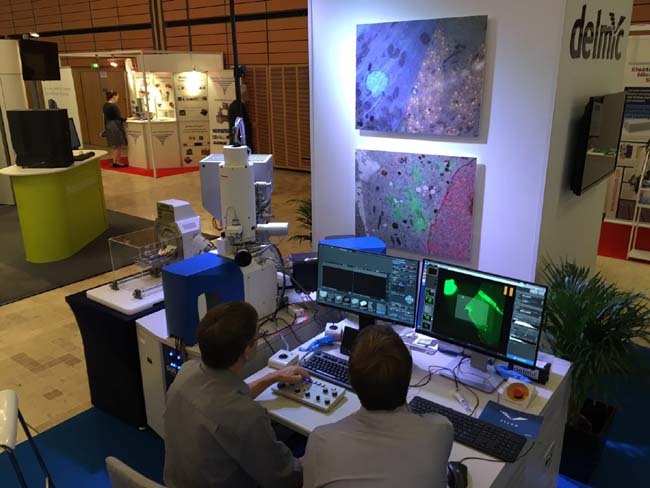 Nearly the whole DELMIC team is present to support the live demos hosted by our in-house correlative microscopy and cathodoluminescence application specialists. Many researchers have expressed enthusiam for our microscopy solutions during the conference so far. Chirality is the property of an asymmetrical object in which – akin to left and right hands – it is distinguishable from its mirror image. This is an important determinant for the behavior of molecules, and is increasingly being wielded for the development of optical technology. In a paper published in the July 2016 edition of Nano Letters, a leading journal in the field of nanoscience, researchers at Chalmers University of Technology use cathodoluminescence imaging with nanometer resolution to study the chiral response of a nanostructure.